Hello everyone and welcome to yet another insightful issue on Paleo Diet Food. I am hoping by now, many of you are enjoying and reaping the rewards of Paleo diet. Over the past few weeks, I have read a lot of comments and questions regarding the preparation of food following the Paleo diet, which prompted me to come up with Paleo Diet Food series that are all designed to answer basic and common, yet often overlooked issues. The article, Common Paleo Diet Mistakes People Make, is a part of that series. In the coming weeks, through the Paleo Diet Food series, I will be answering some of these questions and hopefully enlighten you about the common misconceptions, apprehensions and reservations about the Paleo diet food and the Paleo lifestyle. For this article, I am going to tackle about one of the popular issues and source of controversy in the Paleo diet food – fat. Join me as we probe deeper into this, eerr.. fatty issue. Yes, Cholesterol is not the sinister Darth Vader of human health. For years, we have been led to believe that fat is generally bad for us and carbohydrates are our allies. There is also the belief that the key to achieving and maintaining healthy weight is to exercise more and eat less. And yet… despite this advice, haven’t you taken notice of the growing epidemic of diabetes and obesity worldwide? We were advised to cut down on the consumption of red meat, eggs, butter and lard – all of which are encouraged in Paleo diet food guides. Cholesterol strikes fear among the hearts of many. We live in a world that is increasingly obsessed with eating low fat and cholesterol diet. 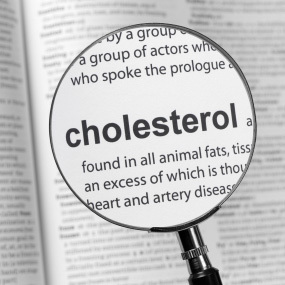 But, recent studies have shown that the body actually needs cholesterol! Assist the body in the production of hormones and Vitamin D, such as testosterone in men and estrogen in women and fat-soluble Vitamins A, D, E and K.
Makes bile acids that aid in digestion of food in the intestine. Without the presence and supply of cholesterol in the body, none of these functions are made possible and we will cease to exist. Here are more intriguing findings: the body has the ability to increase the consumption of cholesterol in the diet to match specific needs of the body. However, if you reduce the consumption of cholesterol or take medications formulated to reduce it, the body is forced to make more and up-regulates to respond to the deficiency. In a recent study conducted by Texas A & M University revealed that LDL or low-density lipoprotein is not the main culprit. In the study that researchers conducted on 52 older males with ages ranging from 60 to 69 who were enrolled on a muscle strengthening program, it was found that individuals with high levels of bad LDL cholesterol gained the most muscle size and strength (as published in the Journal of Gerontology, May 6, 2011). The said study was headed by Steve Riechman, a researcher from the Department of Health and sinesiology. What does this study imply? The so-called bad LDL cholesterol brings cholesterol to damaged muscles to promote muscle growing and hasten healing. In other studies, it has been found that 50% of people who died in heart attacks have normal cholesterol levels. High serum levels of cholesterol presents a symptom of an underlying problem and it’s not the root cause of the problem. Often, this problem is brought about by an inflammation of the artery, and in the attempt of the body to heal the inflammation, cholesterol is sent. When cholesterol is able to do its job, the inflammation will then subside. However, if the inflammation is not treated and refuses to subside, more cholesterol is sent by the body, which tends to accumulate around the artery, acting like a band aid. This explains the formation of plaque, which triggers future problems. So what causes the inflammation of the arteries, you may ask? This has been found out to be triggered by chronically elevated levels of insulin, brought about by the excessive consumption of carbohydrates. Other known triggers of inflammation include vegetable oils and trans fat. In the Paleo diet food plan, you will notice that high levels of antioxidants derived from fruits and vegetables are highly recommended and the consumption of processed carbohydrates are prohibited. In order to strike a healthy balance, aim for low triglyceride levels, which is known to be chronically high in legumes and grains and other sources of carbohydrates. This is one of the reasons why starches are prohibited in the Paleo diet food list. You should also work on increasing your HDL level through consumption of saturated fat, which you can get from the recommended dietary fat sources listed in the succeeding section. Avoid overconsumption of food sources that are high in Omega 6, which are mainly derived from vegetable oil and excessive consumption of nuts. Coconut Oil. Now, this one is a staple Paleo diet food, mainly for its long list of health benefits. This includes its 92% saturated fat content. Its main fat content contains 47% of lauric acid, which is an easiest form of fatty acid the body can digest, and which happens to contain antifungal and antimicrobial property. Animal Fat. You can derive animal fat from beef, pork or duck. Of course, you should make sure these are from healthy animals that are organically grown. This is very important since if there are toxins present in the body, it will accumulate in fat, which of course, you wouldn’t want to eat. This is the main reason why Paleo diet food requires consumption of organically grown animal meat and grass-fed beef. In addition, animal fat are heat stable and doesn’t need to be refgrigerated. To get your regular supply of animal, ask from your butcher. You can also buy suet (beef) or leaf lard, which also come pretty cheap. You see, Paleo diet food products don’t have to be expensive. Olive oil. While this is a vegetable fat, olive oil contains monounsaturated fat, which is perfectly safe and healthy. However, don’t use it for cooking as it easily burns and oxidize. Olive oil is widely used in a number of Paleo diet food recipes. Avocado oil and avocado. This fruit is one of the fatty fruits that is also loaded with vitamin B and E, as well as fiber and potassium. 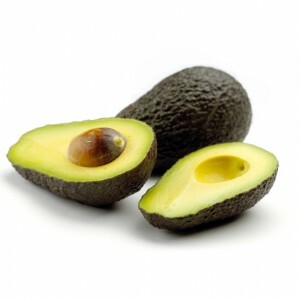 It contains monounsaturated fat, which is, as you already know is a good choice. However, like olive oil, avocado oil is not heat stable so you should not use it for cooking in high temperature. It is ideally best for salad dressings. These are all the recommended fat in Paleo diet food. Of course, there are other possible sources of fat that you can consume such as nuts, nut butters and eggs. Just make sure to eat nuts in moderation since it contains high levels of Omega 6, which can also trigger inflammation. 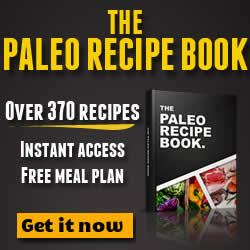 Read the Paleo Diet Food List for more information about the recommend food sources.